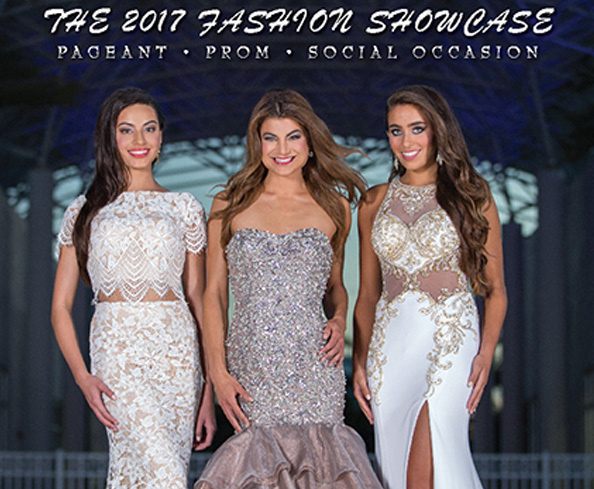 Prom, Pageant, and Social Occasion Gowns from the Industry’s Best Designers: Enjoy our award winning 26th annual Fashion Showcase staged at the opulent Marina Grande on the Halifax in Daytona Beach, Florida. The world’s largest on-location fashion photo shoot features 40 eye-popping pages of the season’s most glamorous gowns and dresses from the industry’s hottest designers in Prom, Pageant, Red Carpet and Social Occasion fashions. © Pageantry magazine 2016 Contact & Copyright information.